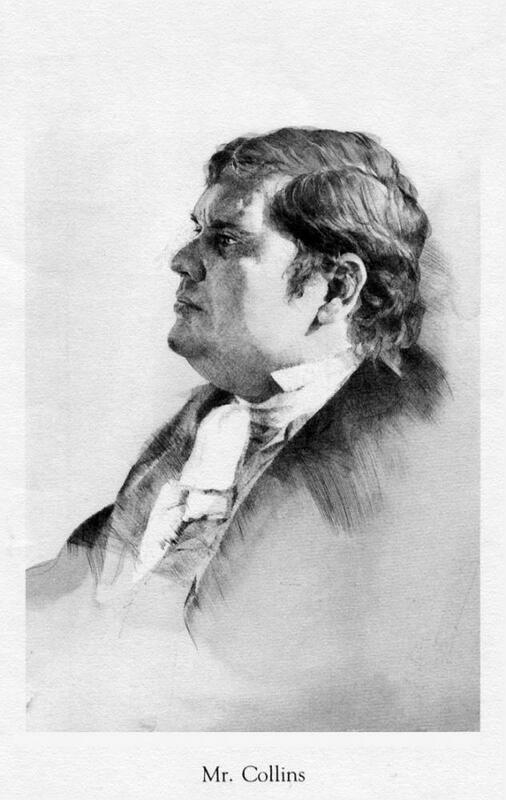 Mr. Collins, the young rector at Hunsford in Jane Austin’s novel, is described as a "mixture of pride and obsequiousness, self-importance and humility." Vain and arrogant, he is the antithesis of Mr. Darcy, yet a fellow suitor of Elizabeth Bennet. I asked a longtime Millbrook resident Charlie Marone to pose as Mr. Collins. Charlie teased me that he well knew why I chose him to model. He hadn’t read the book, he said, but it was clear that I deemed him to be both proud and prejudiced, and therefore suitable. I don’t remember whether I divulged the true reason for asking him, which was his handsome yet portly profile. I love the illustration.